Size: 432 sq.ft. - 801 sq.ft. In the year 2010 Arihant Enterprises launched a gated residential township spanning over 32 acres land which is now partly ready to occupy at the affordable prices from 30 Lakhs to 50 Lakhs. The name of the project is Arihant City situated in Bhiwandi West, Thane. With launch of this city Arihant Enterprises is capable of enhancing the living standards of Indian Families. Arihant City is a landmark project with well-designed towers divided into Phase 1 and Phase 2. Some of the towers are ready with facilities and some are still under construction stage sufficed with 1 BHK to 2.5 BHK units. The entire community will be ready by 2020. Every nook and corner of Arihant City is enriched with green beauty and each tower facing to different views. Arihant City developed with 21 towers of 12 floors each. Arihant City homes are Vaastu Compliant designed with choices of 1 BHK, 1.5 BHK, 2 BHK & 2.5 BHK apartments. It is hosted with more than 1240 residential units ranging from area of 650 Sq.ft to 1100 Sq.ft. This magnificent city has been conceptualized to experience a posh and comfy life. Internal amenities of Arihant City apartments are detailed with Earthquake Resistant RCC frame structure, Vitrified Tiles in all rooms, Glazed Tile Dado in Granite Kitchen with Stainless Steel Sink, Waterproof Pain on External Walls, Good Quality paint on internal walls, Powder Coated Aluminium Windows, Anti-Skid floor in toilets, best quality CP fittings, best quality standard switches, Concealed Wirings and so on. This residential city project lies at a firmly established location of Thane, Mumbai. It is well connected via roads and national highways. This location is now set be fastest developing residential area under BNCMC. Bhiwandi railway station offers you convenient access to the western, harbour and central routes and it confirms that the location has higher development potential in near future. 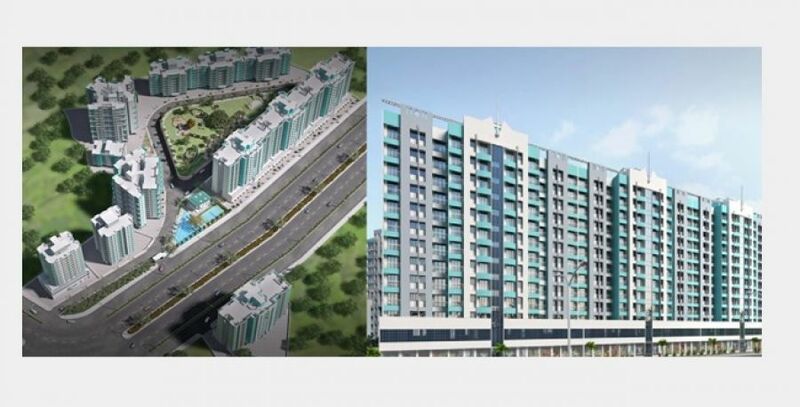 MMRDA has planned to construct 200 Sq.ft ring road connects Bhiwandi Road to Thane GB Road and 3 flyovers on NH 3 and expansion of NH 3 road which is under construction stage. For good deal Bhiwandi is becoming preferred option for property investors & end users. Arihant City is located beyond Thane at Sonale, Bhadwad Gaon, Themghar in Bhiwandi, Maharashtra - 421308. Arihant Enterprises is a division of Arihant Group operational since 1994. It is a private ltd housing company delivers up to the class projects around Mumbai Thane City. All projects of Arihant Developers are accomplished by looking at the customer necessities. In present time Arihant Enterprises is a renowned development firm known for its client centric approach and holds adequate experience in housing sector. Arihant's main objective is Mumbai housing market as there are huge demands from end user and investor for residential properties. The basic values of Arihant Enterprises are stability, trust, honest and more value on quality. Arihant Enterprises believes in maintaining quality levels at every stage of their developments, playing a key role in transforming the skyline of Bhiwandi Thane. The external amenities of Arihant City community covers Well-equipped Fitness Area, Joggers track, Children's Play Park, Clubhouse, Ample covered parking, Landscaped garden, Swimming Pool, High speed lift, a Temple, Power backup, STP System, Entrance gate with security cabin space, Paved Block Path, Solar Water Heater System & Water Harvesting System. Schools - Saraswati English School, Kakatiya High School, Swami Vivekanand School, Glory English High School, Navbharat School. Bank/ATM(s) - Corporation Bank, ICICI Bank. Multiplexes - Ashish Cinema, Anand Talkies, Ganesh Cinema. Hospitals - Meher Hospital, Sushrut Hospital, Apex Multi Speciality Hospital, Tirupati Hospital, Ankur Hospital, Jadhav Hospital. Bus Stops - Bypass Bhiwandi, Pipe Line, Apsara Talies. Railway Stations - Bhiwandi Road, Thakurli & Dombivili.